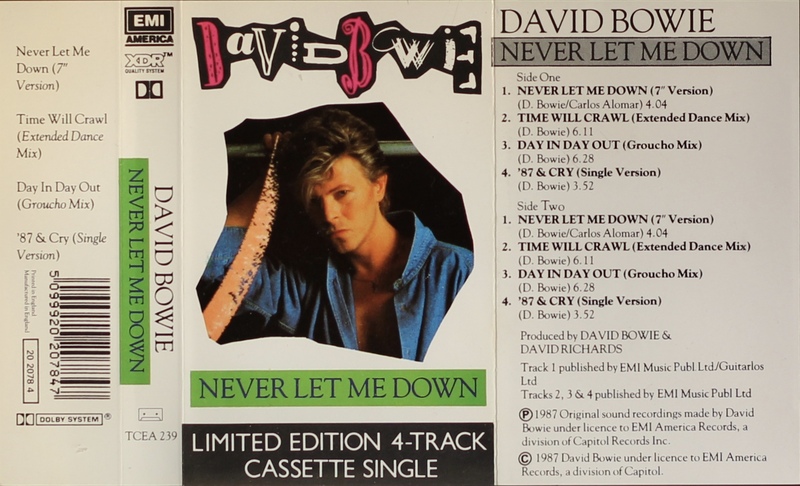 Never Let Me Down: UK; EMI America, TCEA 239; 1987. Full picture cover with black footer, all white spine, rear and inner panels on folded, treated thick paper. The rear of the cover has Dolby and ‘XDR’ information on the inside rear panel . Track list on rear and inner panels. 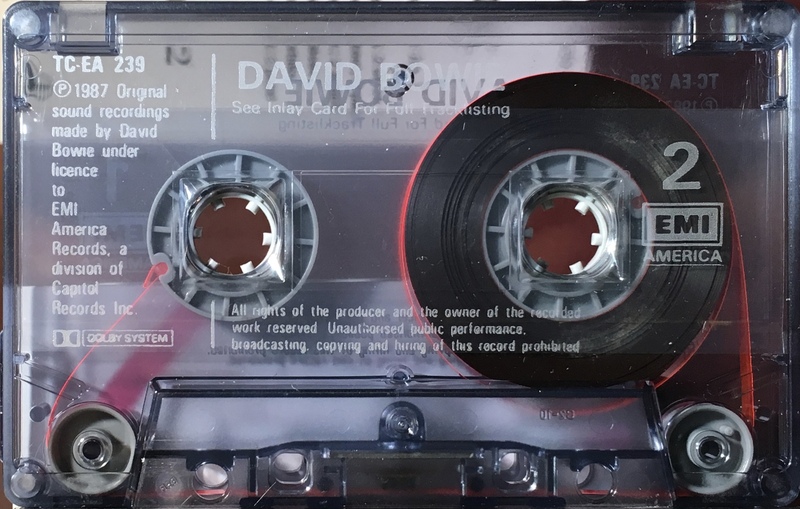 ‘EMI America’, and ‘XDR’ logos on spine and cassette. White ink printed directly onto smoky, transparent shell. 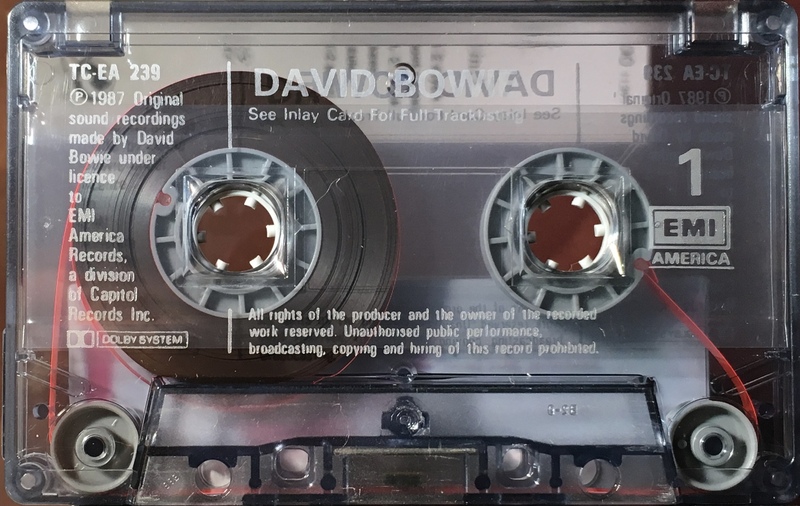 Side 1: Never Let Me Down (7″version)(4:04); Time Will Crawl (Extended Dance Mix)(6:11); Day In Day Out (Groucho Mix)(6:28); ’87 & Cry (Single version)(3:52). Side 2: Never Let Me Down (7″version)(4:04); Time Will Crawl (Extended Dance Mix)(6:11); Day In Day Out (Groucho Mix)(6:28); ’87 & Cry (Single version)(3:52).